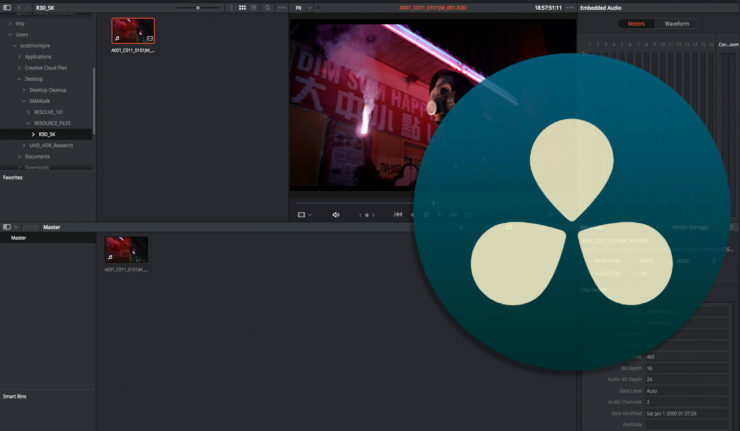 The Media page will be the first tab we overview in Resolve. There are several different areas on the screen starting with your Media Storage, that will enable you to view directories and media on your systems storage. You can navigate through your Media Storage to where the files are you are trying to access. By right clicking on directories we get an array of options to make managing imports versatile to your desired outcome. In this case we want to import an entire directory into our project. When we import the files will come into our ‘Media Pool’. Before we go ahead and do this, we want to be organized, so we can create bins that media will be placed inside of our project. In this case we are going to create a bin for our MASTER_MEDIA, XML, OFFLINE_REFERENCE, and AUDIO. Go back to the Media Storage and select the folder we want to import by right clicking and going to ‘Add Folder and SubFolders into Media Pool’ we can import all the media from parent and children folders of that particular directory. 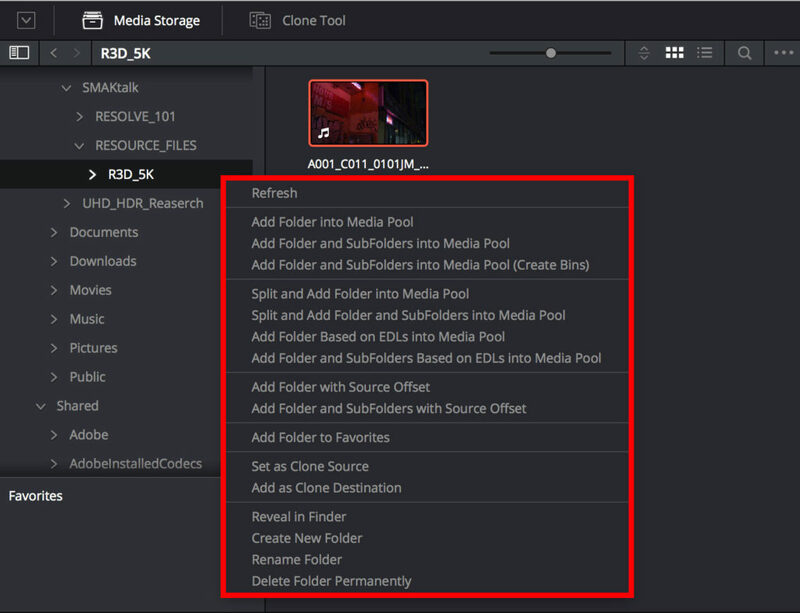 So if we have a Media storage folder that contains multiple media magazines, this function will import all the related media in those sub-folders into our newly created bin in the media pool. "DAVINCI_R3D_AUDIO_TIMECODE_SYNC" directory containing PICTURE_RAW which contains R3D Raw files, and transcoded PRO RES Proxy in case your system is struggling with raw. 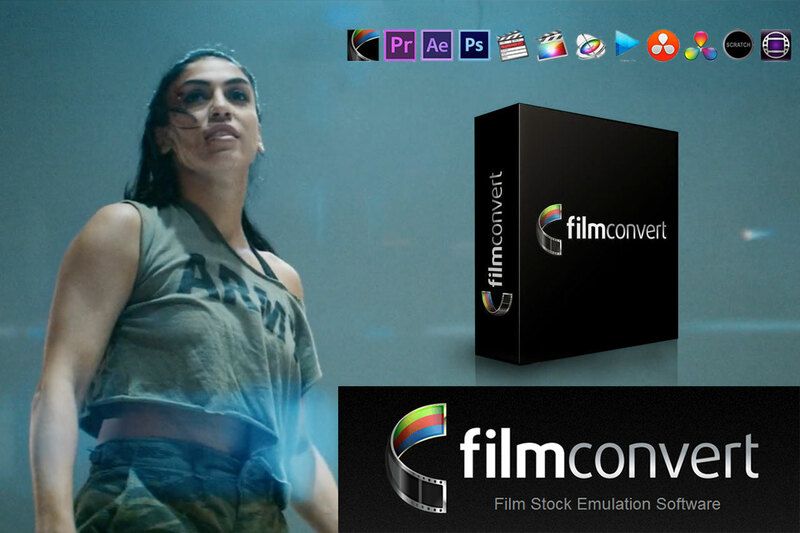 These can be imported into the MASTER_MEDIA bin with the Add Folder and SubFolders into Media Pool function. This will prompt you to change the projects settings if there are no files in your project already. Make sure to select Change or syncing later on will not work. Drag the contents of the AUDIO_RAW folder into your AUDIO bin, which should be nested in your MASTER_MEDIA bin. It's important that if you are working on syncing projects with multiple days, that you create separate bins for each day. If you recorded TOD timecode, this will complicate things if all the media is not organized and left in one bin. 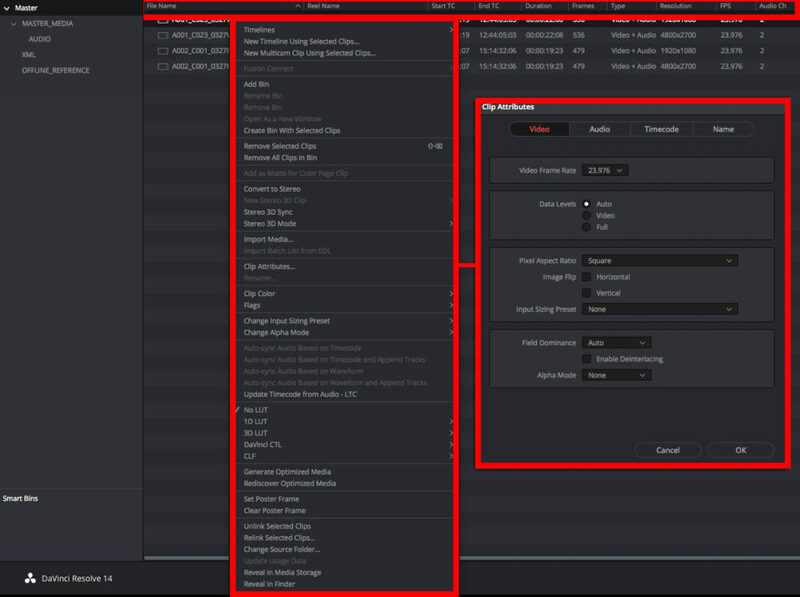 Go to the General Options tab and under the ‘Conform options’ dialogue make sure ‘Assist using reel names from the: Embedding in source clip file’ is selected. In this case I chose Source flip filename, so it was copied verbatim. Had I chose 'Embedding in source clip file' it would of dropped the _001. Right clicking a file in the Media Pool will open an options dropdown. Selecting Clip Attributes will enable you to see how the file interacts with the project settings. 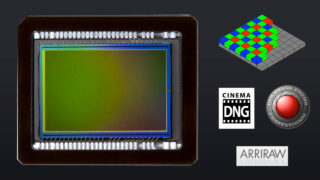 Here we can change the Pixel Aspect Ratio to cinemascope if shot anamorphic, or the Alpha Mode if the file contains an Alpha Channel. Most of these options are displayed as column heading in the Media Pool. Audio Ch allow us to see how many tracks the video has. 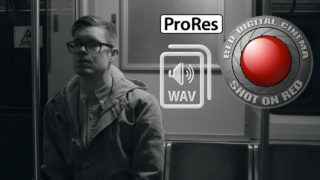 To sync our imported footage to the audio wave files is really easy. 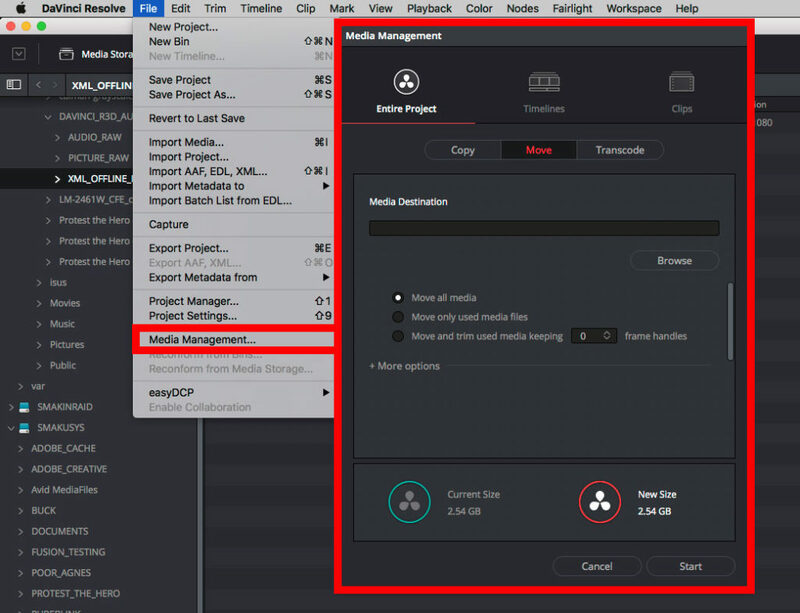 Start by right clicking the MASTER_MEDIA folder and select Auto-sync Audio based on Timecode. This will overwrite the videos embedded audio. Now when you look at the Audio CH list it should have more channels available. If you want to keep those guide tracks and add these new tracks on top use the Auto-sync Audio based on Timecode and Append Tracks function. You can also Auto-sync Audio Based on Waveform which performs the same function as Plural Eyes a popular NLE plugin. There are more audio tracks visible in our Audio Palette, and the filename of the corresponding audio files in the Waveform tab. If you’re shooting multiple days. 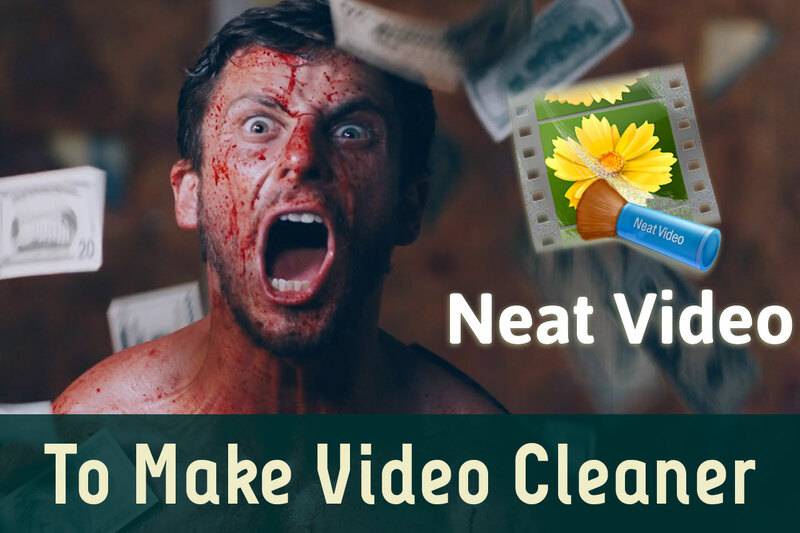 If you want to important a reference video, to verify your edit has conformed successfully in Resolve. Choose the desired clip from your Media Storage, and right click selecting Add as Offline Reference Clip. This file will have a checkerboard pattern beside it in the media pool. It’s important to make sure the Start TC of your Reference matches that of the edit. Media Management is also a great feature for consolidating projects, or archiving only the required assets. It's found under the File menu. You can Copy, Move, or Transcode the Entire Project, Timelines, or Clips. Choose your Media Destination, and whether you want to Move all media, Move only used media files, or Move and trim used media with handles. This can be good when trying to reduce RAW file sizes as you are finishing.